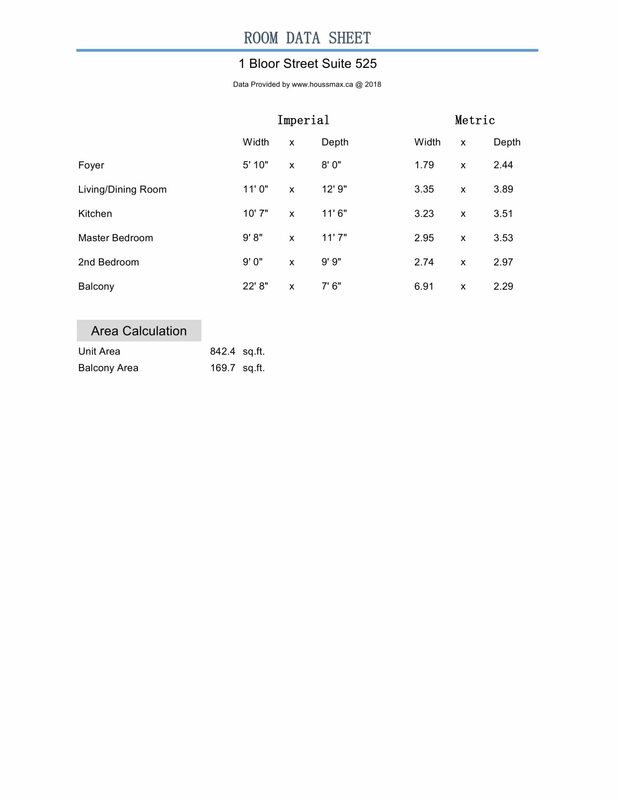 Square Footage: 822 sq. 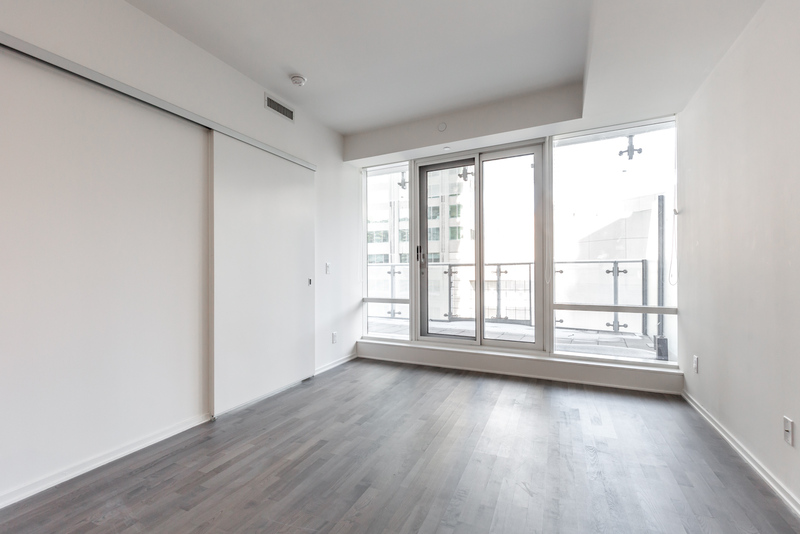 ft.
Gorgeous 2 bedroom, 2 bath condo located on Toronto’s most famous intersection: Yonge & Bloor. Designed by Hariri Pontarini, 1 Bloor is modern yet elegant, with flowing lines crisscrossing with sharp, angular contours. A wavy streak of blue glass gives it a bold, almost artistic flair. The inside is just as exquisite, featuring fantastic amenities, an open-concept layout, and a wrap-around balcony overlooking Lake Ontario. 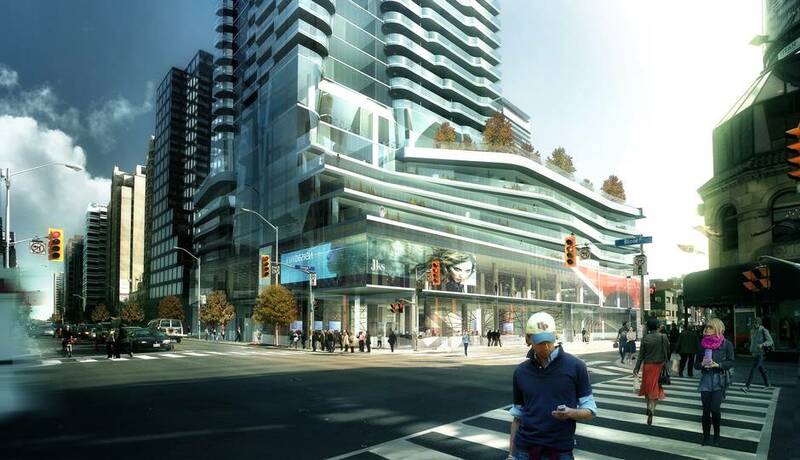 From upscale appliances to ornate hardwood floors, 1 Bloor aims for lavish and succeeds. 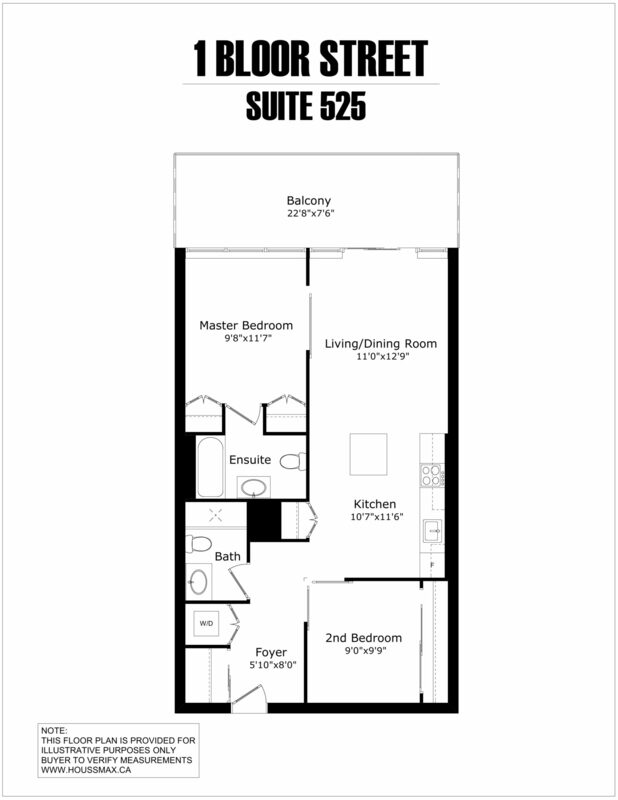 The split-layout unit comes with 9-foot ceilings and a massive 822 square feet of living space. 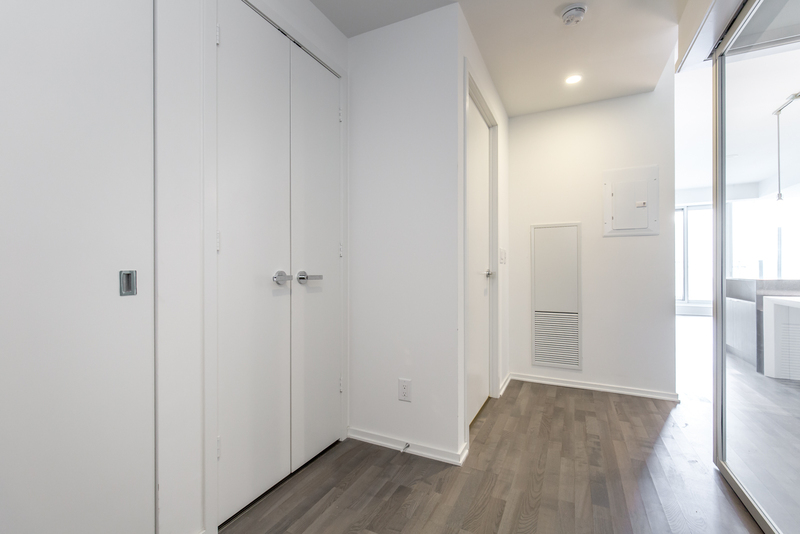 Residents also enjoy the convenience of having 2 bedrooms, 2 washrooms, and their own private locker. The kitchen itself is nothing less than spectacular. 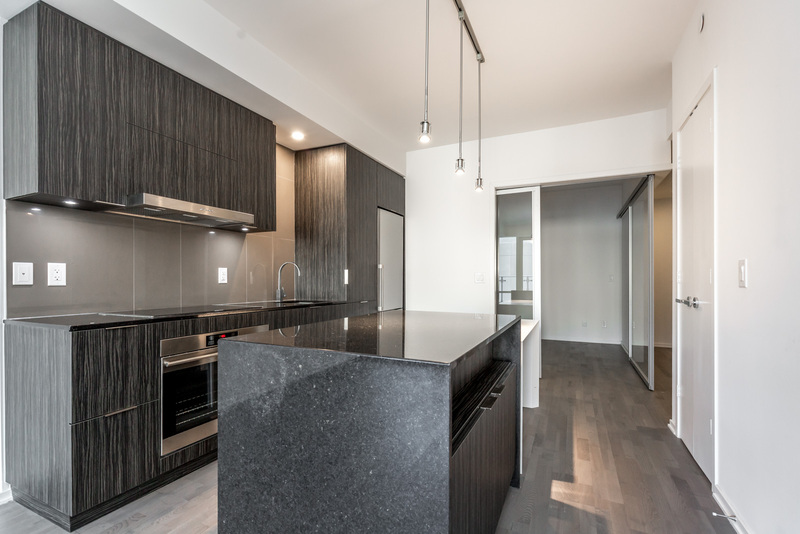 With a uniquely linear design, it boasts dark tones, gorgeous granite countertops, chic European appliances, and lovely hanging lights. 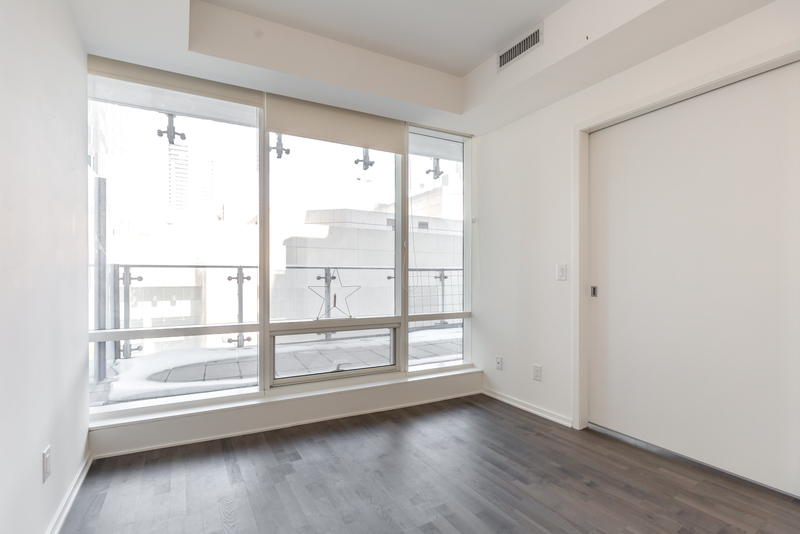 1 Bloor’s master bedroom is spacious and beautiful, and thanks to the condo’s split-layout design, it’s also pleasantly private. Another highlight is His & Hers closets, which provides plenty of storage for fashion-loving couples. And while the 2nd bedroom isn’t quite so large, it’s still rather roomy (and has more than enough closet space). 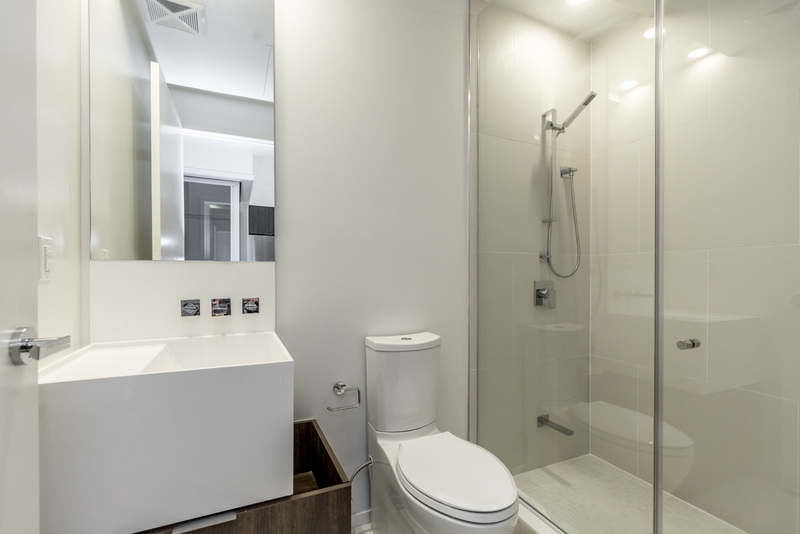 With clean lines, simple colours, ample cabinets, and your choice of tub or shower, 1 Bloor’s bathrooms are attractive yet functional. 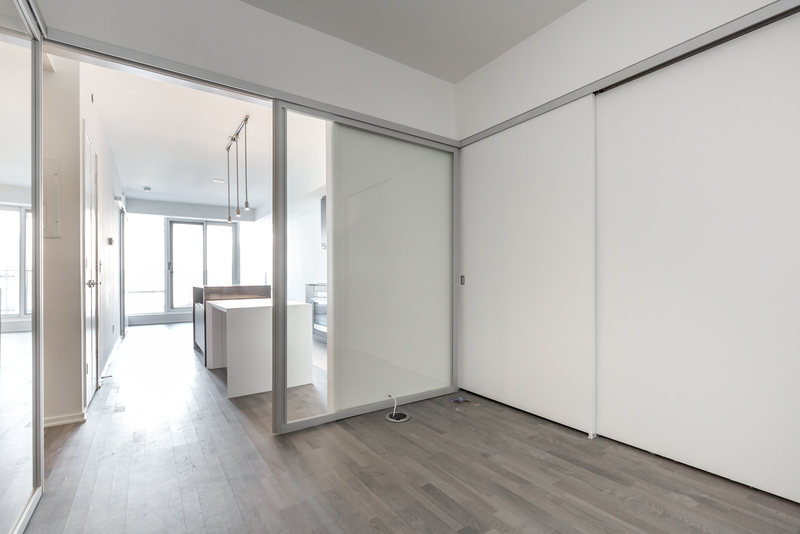 1 Bloor’s open-concept balcony means it can be accessed from multiple rooms. It’s also incredibly wide, making it a perfect place to entertain guests. And finally, it wraps around the full length of your condo, offering spectacular views of Lake Ontario. And if all that’s not enough, 1 Bloor is also the future home of Nordstrom and McEwan Grocery. So residents have access to designer fashion and amazing food right below their feet! What makes the Yonge & Bloor location so special? 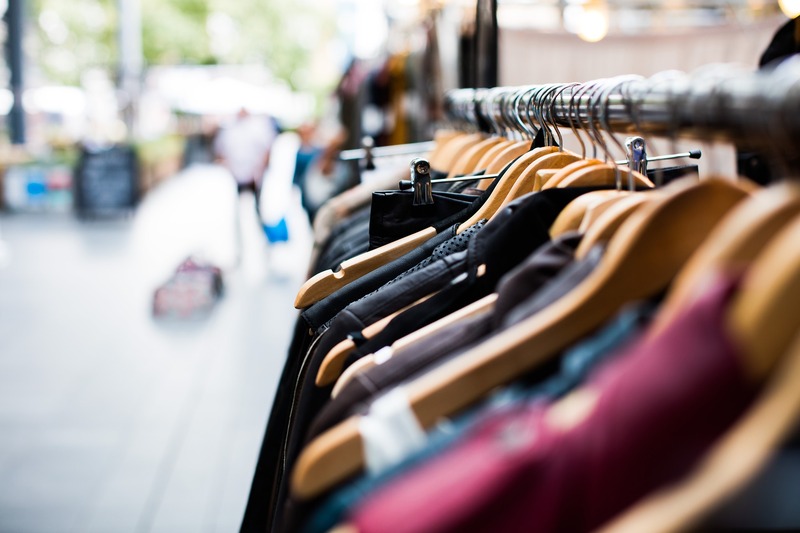 How about retailers like Gucci, Prada, Louis Vuitton, Holt Renfrew, and other elite brands? In fact, almost every big name in fashion is nearby. And Bloor’s not just for shoppers either. You’ll also find some of the best attractions in all of Toronto. 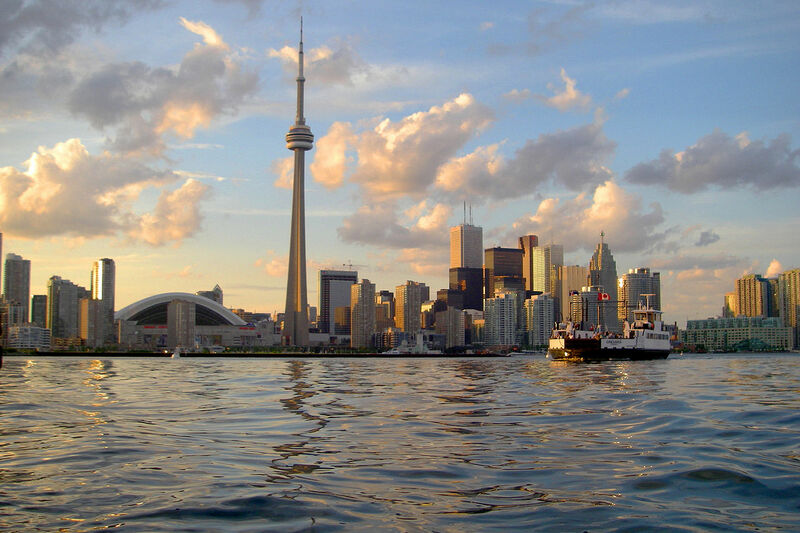 This includes cultural attractions like the Royal Ontario Museum, Art Gallery of Ontario, and Roy Thompson Hall. 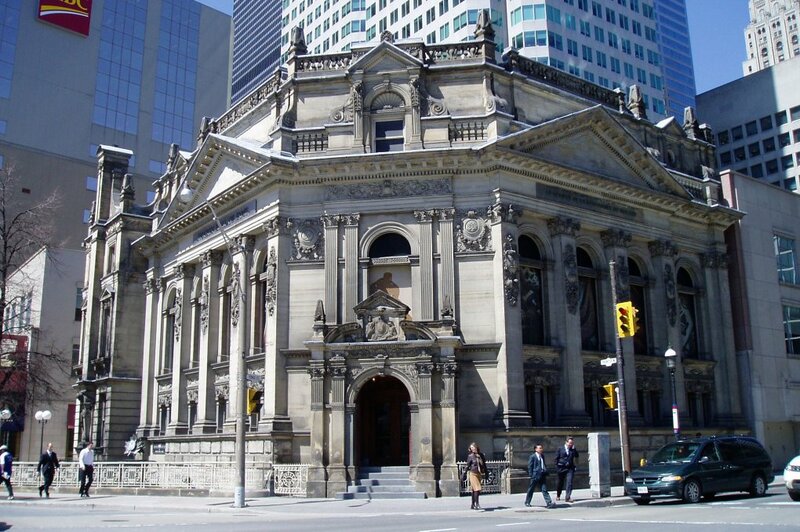 In addition to the arts, sports fans can take in the Hockey Hall of Fame and the Canadian Boxing Hall of Fame (a mere 77 metres from 1 Bloor). Yonge and Bloor is also home to Toronto’s hottest bars, restaurants, cafes and nightclubs. 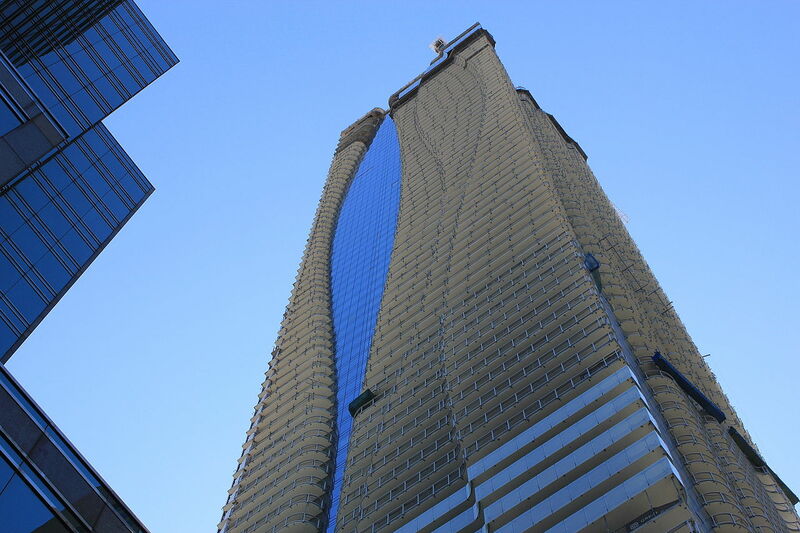 Spacious rooms, lavish amenities, stunning views of Lake Ontario, and an ideal downtown location—1 Bloor has it all. 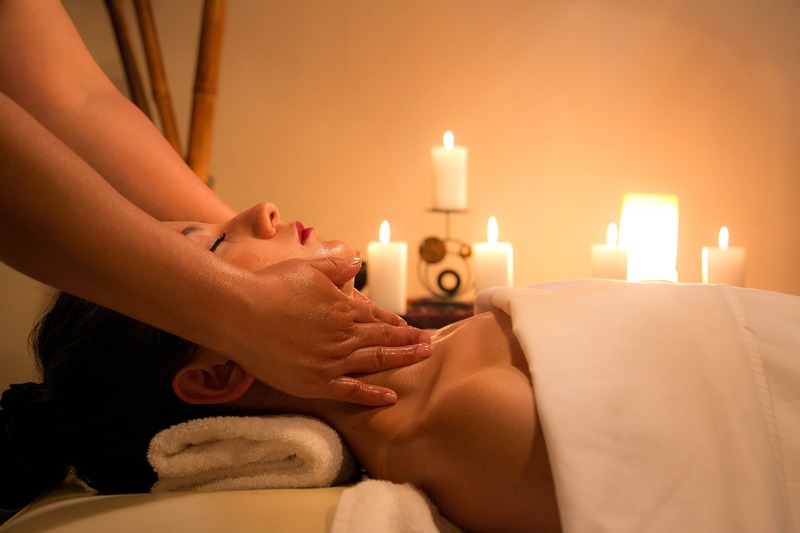 Relax at home or enjoy the best shopping, arts, entertainment, and cuisine Toronto has to offer. 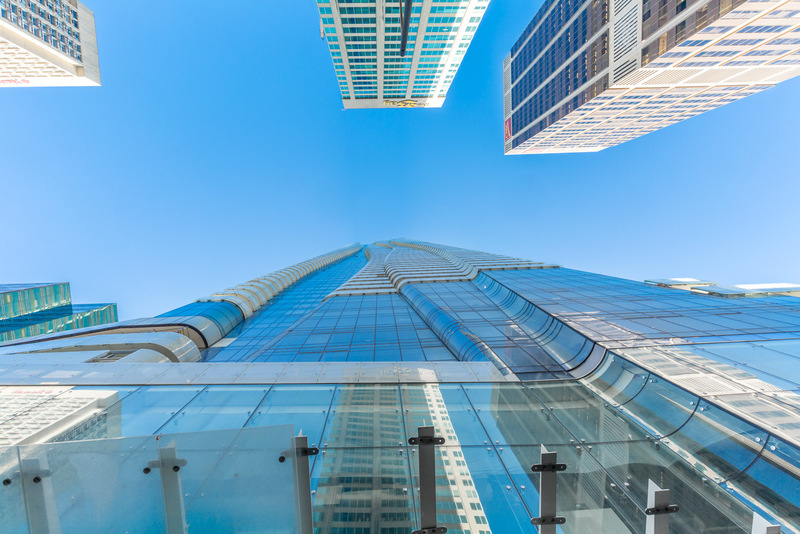 When you live at 1 Bloor, everything is within reach. Want to learn more about 1 Bloor? Click Here to Message Me.